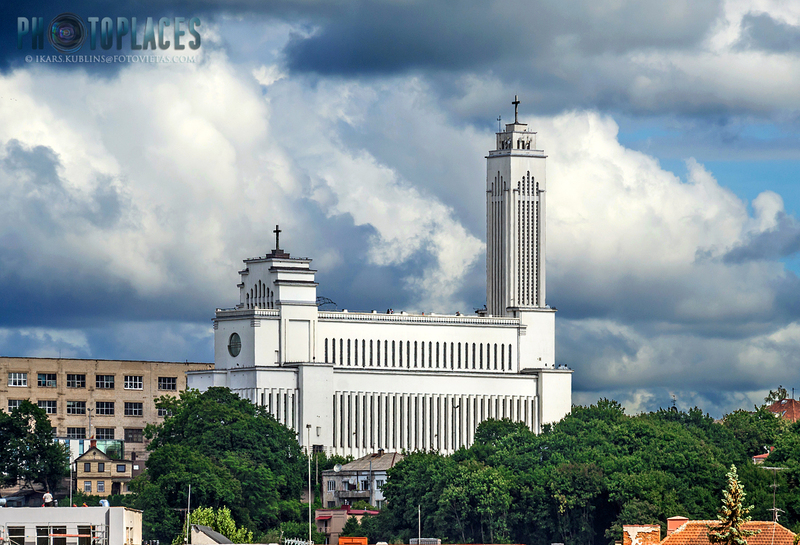 Kaunas Christ's Resurrection church is the largest basilica in Baltic states (can accomodate up to 5000 people), one of the main landmarks of Kaunas city and important example of interwar modernist architecture not only of Lithuania or Baltic states, but indeed - even of Europe scale. 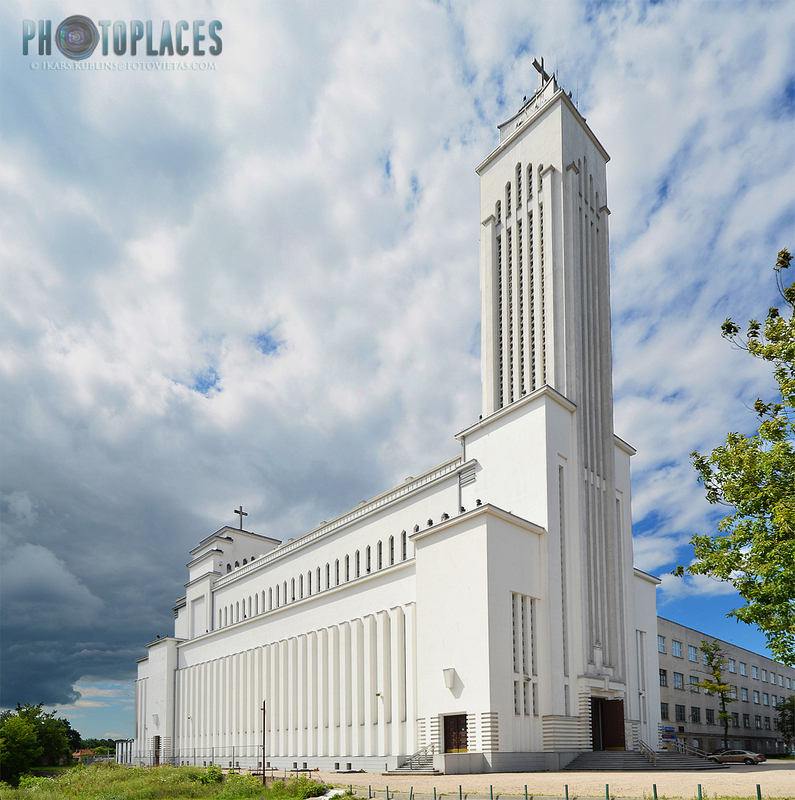 Situated on the hill above the city central part, it's distinctive art deco/functionalism silhouette with 73 metres high main tower dominates Kaunas skyline from almost any perspective. So, what's the story behind this amazing building? 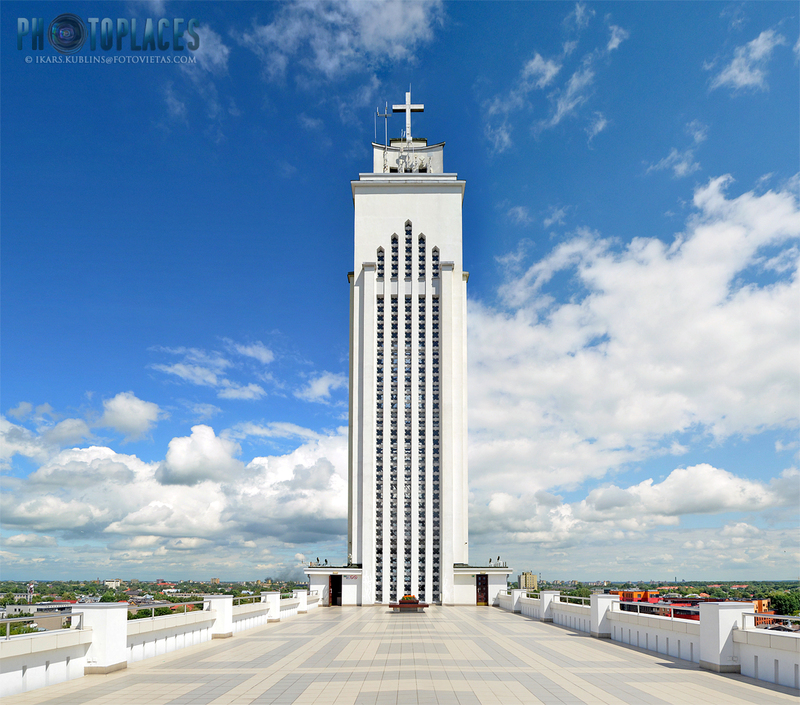 In the beginning of 1920s, Lithuania which has just regained independence after a collapse of Tzarist Russian empire, started to look for a vision of a new architectural symbol which would represent the nation, it's struggle for freedom, and, as many Lithuanians being a deeply religious people - also gratitude to God for being able to achieve it. In the interwar period, Lithuania's historical capital Vilnius was included in Poland's territory - Kaunas was the new capital and thus the most logical place to build the desired monument. The road to church completion wasn't an easy one. 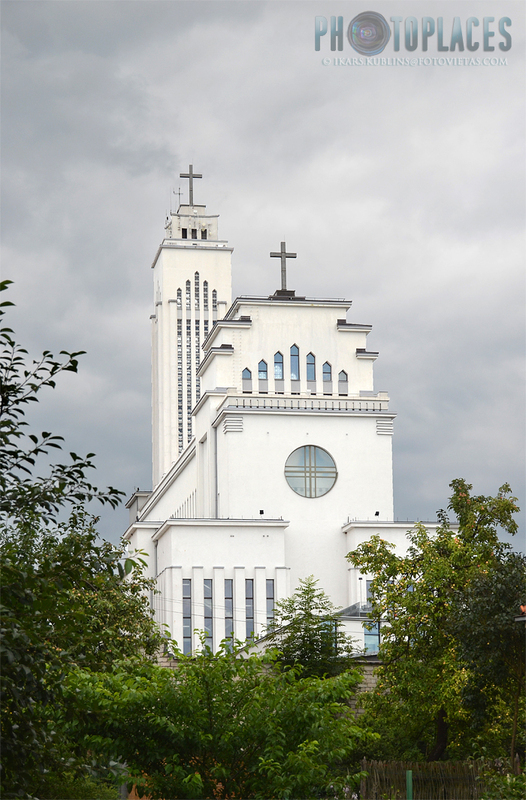 The first resistance it encountered was from the secular voices of Lithuanian public who insisted that instead of a church, a more neutral architecture symbol should be built, a one that not only religious people could be able to identify with. They offered ideas of a museum or a monument. However the Catholic identity of Lithuanian society were still in strong position, and unlike in neighbouring Latvia where at the same time Liberty monument was built as an independence symbol, in Lithuania the idea of a church won. The project of Christ's Resurrection church first appeared in 1928, when the competition was announced. Out of 15 proposals, three got the first prizes but finally a proposal of architect Karolis Reisonas (Kārlis Reisons) was chosen. Reisons was an architect of Latvian origin, born in Riga district in 1894 but lived and worked at first in Lithuania (later emigrated to Australia). The building process started in 1934. The funding of the church construction only partly came from the state, the other share was collected through donations made by Lithuanians both domestically and abroad (emigrees). However the finances were insufficient, the construction was suspended time by time and the church were still not finished until the Soviet occupation in 1940. Soviet power, after a Stalin's order, saw down the cross and turned the building into a radio factory. The church regained it's function after the collapse of Soviet Union in 1991, and the construction was finally completed in 2004. 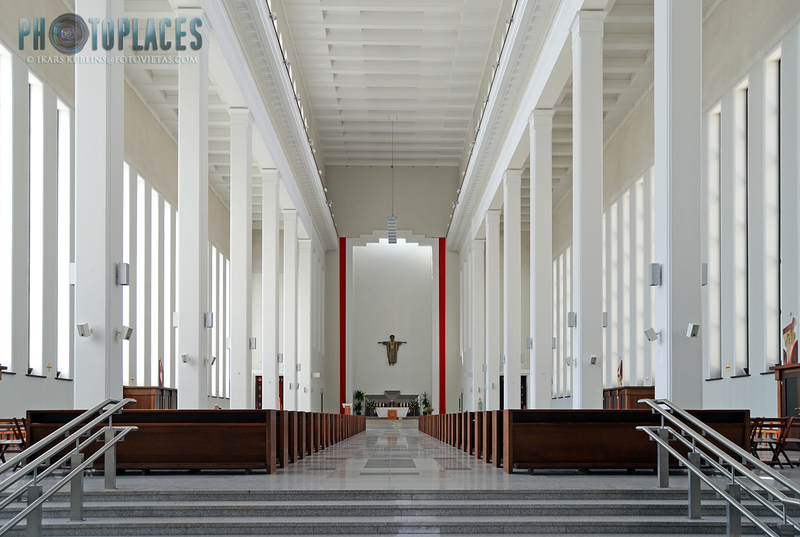 From the architecture point of view, Christ's Resurrection church perfectly embodies the modernism tendencies of 1930ies, being one of those bridges between more posh Art Deco style and ascetic, practical thinking of Functionalism. A flat roof, round windows, symmetry of lines and playing with geometry is a style classics, which manifests itself here in the best way, creating a little bit strange but beautiful harmony. The clean and shining white colored look of the church does the rest, truly associating it with the aspiration of divine. The same factors - rhythm of verticales, spaciousness and white light makes Christ's Resurrection church inspiring also from inside. At last but not least - the church roof offers also a great observation platform, one of the best viewpoints to see Kaunas from above.